Was literally driving past Jerez today and thought I would swing by this little institution of a store – La Casa del Jerez. It is small and perfectly formed – dedicated exclusively to sherries and brandies with a small space for catas and even a row of botas to drink from (no photo – just forgot, sorry). That wine is from Bodegas Faustino Gonzalez, of Cruz Vieja fame and owned by the same family, but there certainly doesn’t seem to be any conflict of interest – just about every bodega you could name was represented on the shelves and I picked up three interesting bottles in a flying visit. 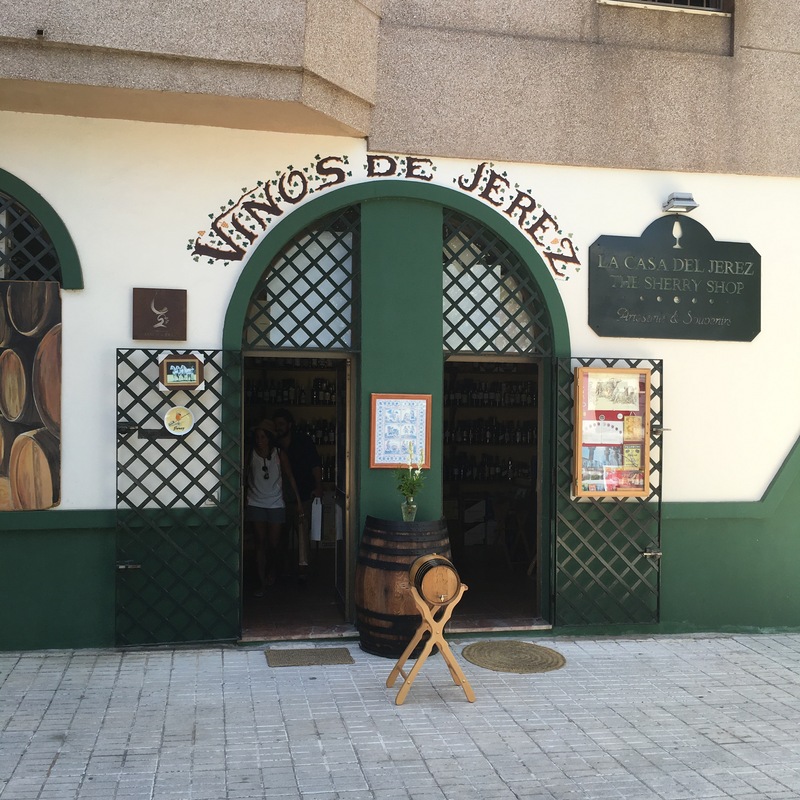 I would strongly recommend a visit to anyone visiting Jerez itself – can often be surprisingly tricky to pick up wines there curiously – and am delighted to update my list of stores accordingly.